I see the Atlantic every day, but only in glimpses at the mouth of bays and the gaps between barrier islands. Even in tiny pieces, it feels huge, a giant sheet of water stretched to the horizon, some days calm, some days full of rage. You can go from Miami to New York and barely touch the Atlantic. The Intercoastal Waterway will take you Norfolk, Virginia, and from there, protected bays, rivers, and canals will get you the rest of the way. But something always calls from the outside. A Siren maybe. The power of the unknown. The wild feeling I get when there is nothing but water over one shoulder and mistakes have meaning. It calls from those little gaps, whispering, wondering why I hide. 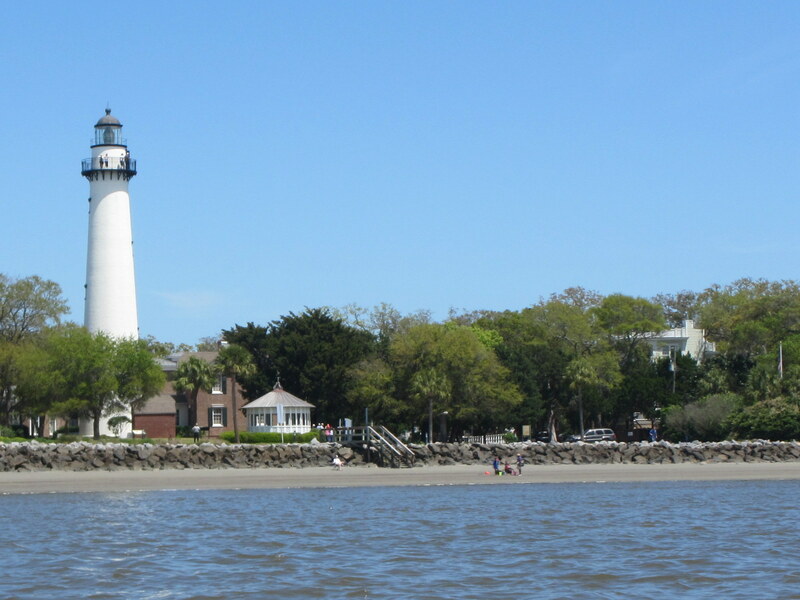 I slip past the St. Simons lighthouse and curve around the edge of the island, feeling the slow, rolling waves, the offshore wind, and the ocean open up over my right shoulder. A giant freighter lumbers out in front of me, confident in its size. I watch it until it looks like a toy against the sea. Powerboats fly past with fishing poles strung on their racks. They cover a days worth of paddling in half an hour. I want the ocean’s promise to stay calm, to keep its glassy-smooth waves, to guarantee a day to reach the next gap, but all I see is the endless horizon rushing at me, spinning in my head like I’m standing on the edge of a cliff, and telling me that the Atlantic makes no promises. I take breath, look back at the lighthouse one last time, and paddle for the outside. Posted in Angle to Key WestBookmark the permalink. It is awesome to me how you have become so, not accustomed, but enthralled and entranced and intertwined with the vast ocean, even while hugging close to shores. What a sense of the power and one’s own smallness relative to that. It is all relative, isn’t it? The ocean with all its power is still so affected by us and all our shenanigans. The great oceans and our beautiful blue planet a speck in the vastness of the universe. Love your stories. This is very interesting. One would never know from looking a big map that there is a coastal waterway all the way to NY.